Previously I had made two cards with this versatile cling stamp ( see this and this). This time I have another take on the same stamp. You can follow simple instructions and supplies to see how easy it really is to make! Lastly, I used the cling stamp for a tone on tone background and added a few fun elements (washi tape, BG paper strip and ribbon bow) for the card. Done! I hope that you get creative with your Christmas background stamps as the possibilities are endless! Thank you so much for stopping by! wow Virginia these are amazing.. I love your technique and love all the amazing color on these cards… totally gorgeous and inspiring.. 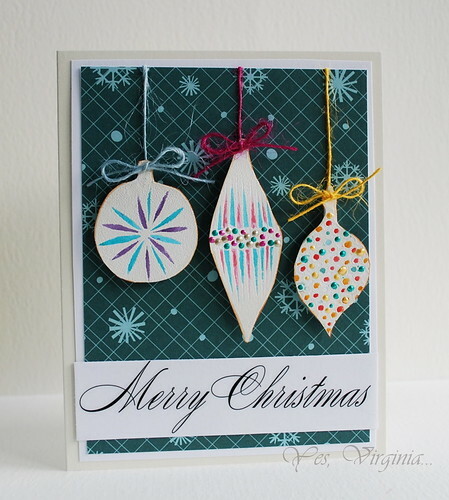 Stunning cards Virginia, thanks for sharing these different techniques that can make one stamp set so versatile!! Love your cards,Virginia. So versatile and lovely techniques! Lovely cards. This looks like a really versatile stamp. Thanks for sharing. Great ideas for making the most of your stamps, Virginia! Lovely cards! These are such great cards, but I especially love the "Joy" card. Love all your cards Virginia, especially the last one with the tone on tone on Kraft paper. Stunning samples Virginia. Love all your cards. Beautiful projects, all – but the kraft card…swoon! Love it! Thank you for sharing and inspiring. Gorgeous cards Virginia. Love all of them. Love seeing how you ladies came up with different ideas for the same background stamp! I don't always see the possibilities, and seeing projects like this always provides a little spark of creativity. TFS! Oooh, I couldn't wait to see what magic you'd create! LOVE all your cards, right down to the tone on tone on kraft. You rock, as usual, V! wow this is so much fun seeing all of the different ways to use one stamp set!!! Wonderful job Virginia!!!! All the cards are fabulous! Love the kraft card tone on tone. It's fun seeing the different looks with the same stamps. At a glance, you'd never know they were the same ones. I think my favorite is the Kraft card… Making the images subtle would never have occurred to me with this particular stamp. Very nice! Love seeing stamps used in new and fun ways…thanks. One stamp set – many looks! Love the versatility of this set. Thanks for sharing your creativity! Virginia your cards are just fabulous, lvoe how you used both you patterned papers and your stamps. I have to say your last card is very striking. Great idea to demonstrate how 1 stamp set can achieve such different looks! Thanks virginia for showing different ways to use a background stamp.. TFS !!! Wow! Love all the cards you made with this set! BEAUTIFUL! Love how you used this in so many creative ways!!! Great cards! Love the colors and those gorgeous ornaments! 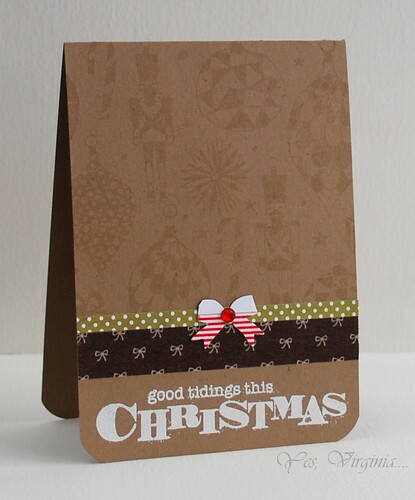 love the tone on tone background stamping…awesome! Great cards! I really love that first one, so different, great technique and kind of funky. Very cool! Virginia, these are gorgeous and I love to see all the different ways to use stamp sets. My favorite is definitely the tone on tone Kraft card. Really stunning! Thanks for sharing. Your projects are so pretty! Great cards! Love how to stretch the stamps (and my money!) over many cards. Thanks. Wonderful cards! I think my favorite is the tone-on-tone look (love the look of kraft), but I also love all the colorful inks you've used on the other cards. Great cards. Love the tone on tone. Yay Virginia!! Love your cards. You are the Queen of using stamps so many different ways!! Wonderful cards; love the snowflake background. Great cards! 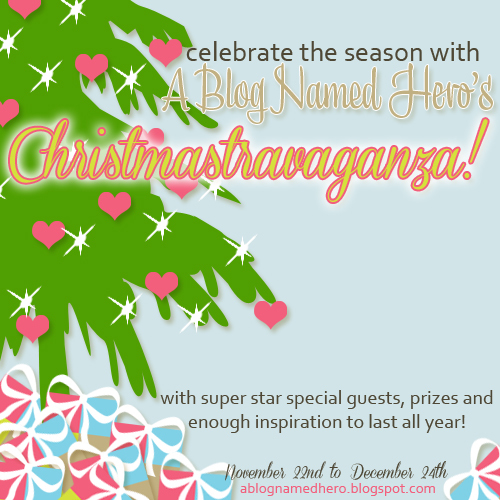 Love that nutcracker stamp! Oh wow you are amazing! Just one stamp and so many different styles! Love love love these Virginia!! How come I have never seen that set??? Looooooove it!! Great job V!!!!! WOW, Virginia, all of these are so creative – well done, my friend! Loving these projects for sure. I feel the Christmas Spirit coming on! You always use 1 stampset in such different ways!! It's really "stretch your stamps!" Totally love it!! Nice cards. I like those ornaments, so much you could do with them as you show. I also like that tone on tone background on the kraft card. Beautiful. I love the tone on tone on kraft. I love how easy to reproduce the second card is! Wat een prachtige kaarten en prachtige stempels heb je gebruikt. Those are so fun! Love the different looks you can get with them! Love all of these beautiful cards. The last one is my favorite! I love seeing how you rock a stamp set so many different ways…it is so very inspiring! Love all these fab projects! Great ways to use these stamps! God bless!!! I really like the tone on tone effect when using the stamp as a background! You got such amazing versatility from this one stamp, Virginia! Such totally different looks. All great, too! Glad to see you here rockin' your design magic! Fantastic stamp set and fabulous cards! Love them! Hello, Virginia, I love your cards and am delighted to "see" you here. Fab cards, Virginia! Love the kraft card with the tone on tone background. Love all these cute ideas. Thanks! Virginia, I LOVE how your cards SCREAM with COLOR and Happiness!! Virginia your cards are so beautiful!!! Fun cards Virginia, thanks for the inspiration. These are such beautiful cards! That one on the left is just amazing!!! Love!!! These are stunning! LOVE the cards! Great cards and neat technique with the stamps. thanks for showing how versatile this stamp set is. Very colourful and festive cards Virginia! Cute and festive cards Virginia! OMGish Virginia!! These cards are all beautiful!!! I love them, thank you for the inspiration! Lovely cards Virginia, this stamp set is indeed so versatile. Virginia, your cards are so pretty ! Love the Festive Ornaments stamp ! Love how you show how to make our stamps so. Versatile! Thanks for the awesome ideas. Loved the way you used the stamps to create these wonderful cards!! Thank you for sharing! pretty cards. love that ornament stamp. I like that you made something for the CAS and nonCAS carmaker! and BG makes such awesome christmas papers to match HA. Gorgeous as always! Love how you changed all the ornaments with odors. Your cards are gorgeous Virginia (as always)! Especially love the look of the tone on tone with that fab embossed sentiment! wow! both cards are gorgeous, Virginia! love the vibrant colors on the first one and love love the subtle background stamping on the second one. fabulous work as always! I just love Aspen Frost! Like the 3D look of the added ornaments as well as the stamped ornament images on the Kraft cardstock for a wonderful background look. I need to look at background stamps a little differently. I really like the tone-on-tone look – lovely. These stamps are so cute. What Beautiful cards. Love the different ways in which you have used these stamps.